Devastation of the magnitude of the earthquake in Haiti that killed *230,001 people in January 2010 stretches the bounds of our ability to comprehend the depth of brokenness and suffering in our world. News of tsunamis, tornadoes, and flooding shakes the earth and our faith. From the outside, even our angriest shouts at God seem ridiculously small. Can we really figure out the meaning of suffering when so many people lose so much, so quickly? When the earth itself is ripped open with violence and disregard, what can we feel except very, very small? In the church, we are often tempted to avoid suffering, to make life as safe or comfortable as possible (just listen to the way much Christian media is marketed, “Safe for the whole family”). 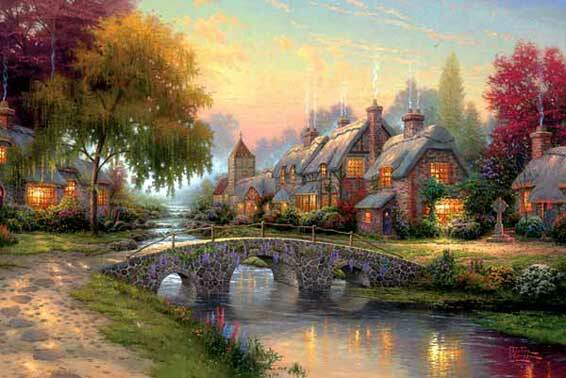 At other times, we might Kinkade-ify suffering; that is, to gloss over the reality of pain, or to forge ahead by pretending everything’s great, thanks for asking. Trying to walk alongside others who are suffering is a kind of suffering in itself. Compassion means to suffer with another person. Sweeping generalizations about the sovereignty of God lose their meaning when a friend has just lost a beloved child. Perhaps it’s more meaningful to sit in silence nearby, covered together in ashes and tears. Suffering unites. As Dave Gibbons notes, not everyone can relate to our success or victories, but everyone can understand pain. Not that we’re called to seek out hardship as an end in itself; rather, to face with courage the reality of our broken world, and to share with empathy in the suffering of our neighbors. Kent Annan, co-director of Haiti Partners, has worked in Haiti since 2003. 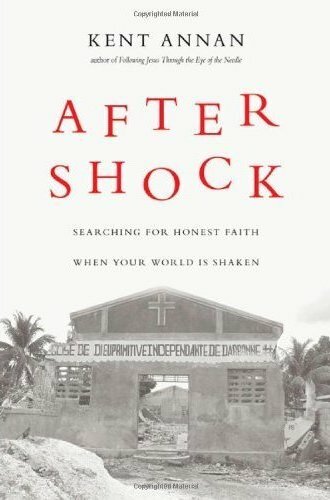 After Shock: Searching for Honest Faith When Your World is Shaken is Kent’s psalm to God — anguish, confusion, hope — in the aftermath of the earthquake in Haiti. Throughout After Shock, Kent writes with disarming honesty. Not the “keeping it real” kind of honesty we might read in confessional memoirs today, but the kind that refuses to throw religious-sounding platitudes into the darkness of theodicy and call it a day. We grasp at straws trying to make sense of the suffering. To fill the silence, we say things that are sincere but sometimes silly. We find slivers of Scripture that prop up our defense, but do we want the kind of God that the logic of our straw-patched statements creates? In the same way that sharing your goals publicly might actually prevent you from achieving those goals (“When you share a goal publicly, your brain enjoys the sharing in the same way it enjoys the achievement itself, and you’ve lost some of your motivation”), becoming a consumer of disaster tourism can trick us into thinking we’ve done something about suffering — as Charles Lee has noted, genuine compassion is more than a tweet. Don’t turn away and pretend suffering isn’t pandemic. Don’t become a charitable tourist of suffering either. Pain is personal, but also universal. Don’t turn away from doing everything possible to stop suffering. There’s so much we can do nothing about, but we can help — sometimes one person and sometimes many. In Kent’s description of celebrating the Eucharist alongside Haitian Christians in the rubble of a collapsed church, I come to know better the Christ who embraced the destroyed by becoming broken Himself. “The body of Christ in this place broken, literally broken bodies, broken homes, broken church building,” distant yet near in the rubble and dust. May we become the response to a world that is always crashing around us. Full disclosure: Kent is a friend from seminary, and I received this book free by winning a contest via Twitter. However, I would highly recommend After Shock even if neither of those were true.